SCRIPTURE BOOKMARKS There are 22 products in this category. Bookmarks - full-colour photographs and inset pictures, suitable for young people. 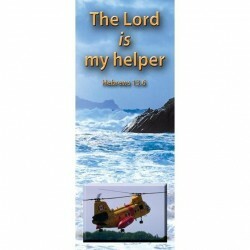 VERSE: "The Lord is my helper" Hebrews 13:6 Page Size: 5" x 1.9"
Bookmarks - full-colour photographs and inset pictures, suitable for young people. 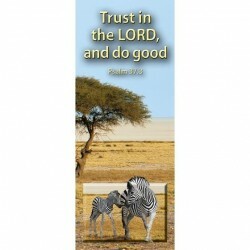 VERSE: "Trust in the LORD, and do good" Psalm 37:3 Page Size: 5" x 1.9"
Bookmarks - full-colour photographs and inset pictures, suitable for young people. VERSE: "Hear my prayer, O God" Psalm 54:2 Page Size: 5" x 1.9"
Bookmarks - full-colour photographs and inset pictures, suitable for young people. 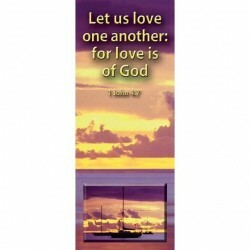 VERSE: "Let us love one another: for love is of God" 1 John 4:7 Page Size: 5" x 1.9"
Bookmarks - full-colour photographs and inset pictures, suitable for young people. 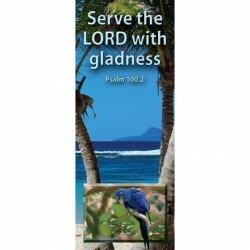 VERSE: "Serve the LORD with gladness" Psalm 100:2 Page Size: 5" x 1.9"
Bookmarks - full-colour photographs and inset pictures, suitable for young people. 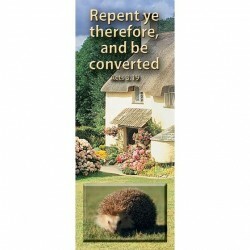 VERSE: "Repent ye therefore, and be converted" Acts 3:19 Page Size: 5" x 1.9"
Bookmarks - full-colour photographs and inset pictures, suitable for young people. VERSE: "But the word of the Lord endureth for ever" 1 Peter 1:25 Page Size: 5" x 1.9"
Bookmarks - full-colour photographs and inset pictures, suitable for young people. VERSE: "Create in me a clean heart, O God" Psalm 51:10 Page Size: 5" x 1.9"
Bookmarks - full-colour photographs and inset pictures, suitable for young people. VERSE: "Lord, teach us to pray" Luke 11:1 Page Size: 5" x 1.9"
Bookmarks - full-colour photographs and inset pictures, suitable for young people. VERSE: "My times are in thy hand" Psalm 31:15 Page Size: 5" x 1.9"
10 Bookmarks - full-colour photographs and inset pictures, suitable for young people. Page Size: 5" x 1.9"
VERSE: John 14:1-6 "Let not your heart be troubled . . ." Size: 6.25" x 2.25"
VERSE: The Twenty-Third Psalm Size: 6.25" x 2.25"